Yeah, that’s the same sincerity as that recorded, “Your call is important to us…” Perhaps a bit more honest? Stormy’s sure got her work cut out for her in this place.. 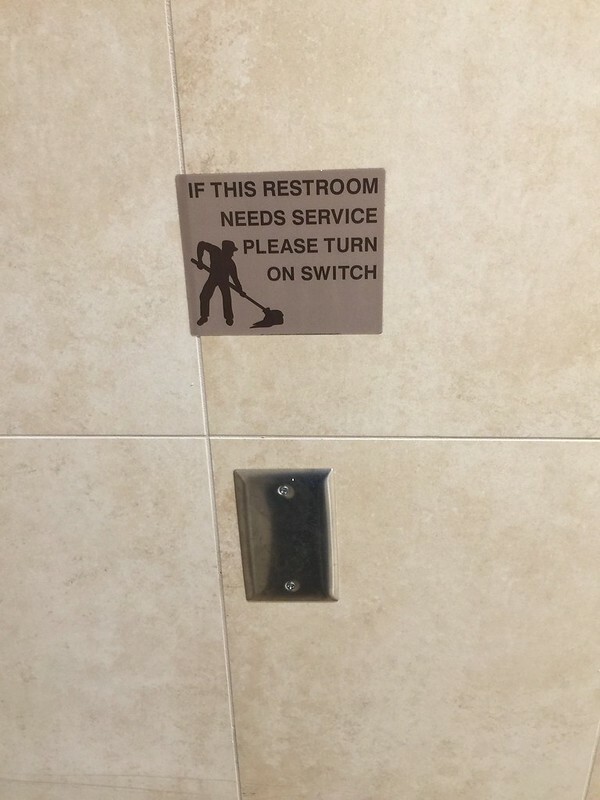 I wouldn’t blame the guy with the mop if he was the one who covered up the switch.